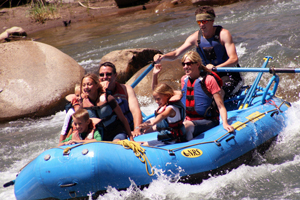 Rafting the Animas River in Durango, CO is consistently rated the highlight of vacationing visitors. 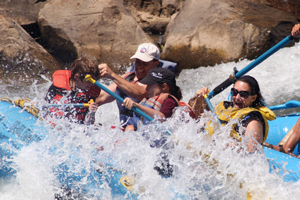 Of all the things to do in Durango, the Class I, II & III rapids are enough action for experienced rafters yet won’t overwhelm novices or young children. 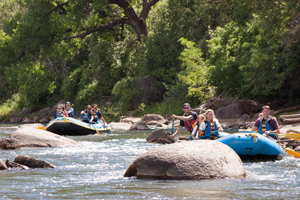 For those looking for more action when the river levels are lower, check out our Inflatable Kayak option. 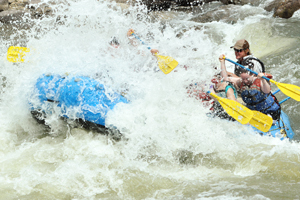 We also have outstanding full day high adventure raft trips. 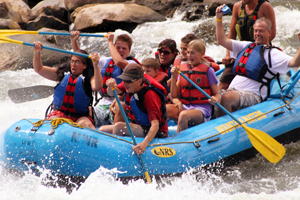 Enjoy the mountain and town scenery as our guides focus on your safety and fun! 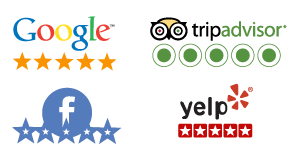 Military, Seniors and AAA always get 5% off! Child is is 4 to 11 and 30 lbs. snack of fresh fruit, chips & salsa and pure Weminuche Wilderness Water! 37 Years of Awesome Adventures!